Ethan Lindenberger shared his story of growing up in an anti-vaccine household. Sen. Rand Paul, R-Ky., expressed his opposition to mandatory vaccines during Tuesday’s hearing. "Given the choice I do believe that the benefits of most vaccines absolutely outweigh the risks. Yet it is wrong to say that there are no risks to vaccines," Paul told the committee. "If this hearing is for persuasion, I’m all for the persuasion. I vaccinated myself, I vaccinated my kids. For myself and my children I believe that the benefits of vaccines greatly outweigh the risks. But I still do not favor giving up on liberty for a false sense of security." 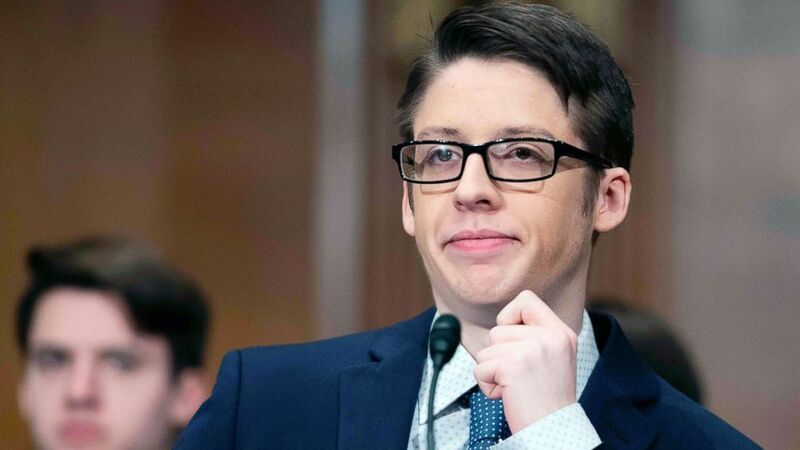 (Jim Watson/AFP/Getty Images) Ethan Lindenberger speaks before the Senate Committee on Health, Education, Labor and Pensions on Capitol Hill in Washington, D.C., March 5, 2019. After the hearing, Lindenberger told reporters he has done his best to "address misinformation without demonizing people," and his parents have been supportive of him in that. He added that his father is a little more "vaccine-hesitant" than "anti-vaccine." "We’re still working through it," Lindenberger said. For other young people who might experience debates about vaccines within their families, Lindenberger advised: "Just maintain respect and continue presenting evidence." Saad Omer, a professor of epidemiology and pediatrics at Emory University, told the committee that far more parents are uncertain about vaccines than outright opposed to them. "I think we should have communication rather than argument, and that communication should be science-based," Omer told ABC. "Individual parents start with the right thing, which is the desire to protect their kids." John Boyle, president and CEO of the Immune Deficiency Foundation, spoke about parents who fear that their communities aren’t being sufficiently vaccinated. "They are afraid to send their child to school -- even when their child is not sick and should be able to participate. They’re afraid because they understand the science, the math, and the history. They know the stakes: if people stop vaccinating and the safety net of "community immunity" fails, their children will be among the first casualties," Boyle said in prepared testimony. The term "herd immunity" refers to the percentage of a community that needs to be vaccinated against a particular disease to prevent the spread of the disease in the population. In his written testimony, Omer said the rate of protection against measles is "hovering dangerously close to the 'herd immunity threshold.'" For measles, herd immunity is reached when about 93 to 95 percent of the population is vaccinated. The committee also heard from a public health official from Washington state, where an ongoing measles outbreak has drawn national attention to the issue of vaccinations. As of Monday afternoon, the state Department of Health had confirmed 70 cases of measles in Washington's Clark County. Washington has had three measles outbreaks over the last 10 years, according to testimony from John Wiesman, secretary of health at the Washington State Department of Health. In addition to the financial cost of the public health response, Wiesman said the outbreak is costing the community in many other ways, such as children missing school out fear of being exposed to measles. "Things will, I think, continue to progress for weeks here, if not some more months," Wiesman told ABC. He added that they will have to go 42 days without a measles case before they can know with certainty that the outbreak is over. "So we’re in this for quite a while," he said.